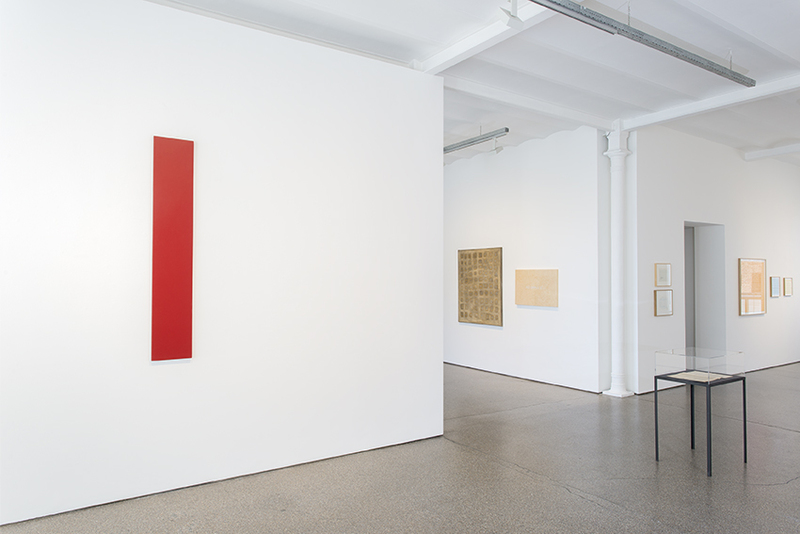 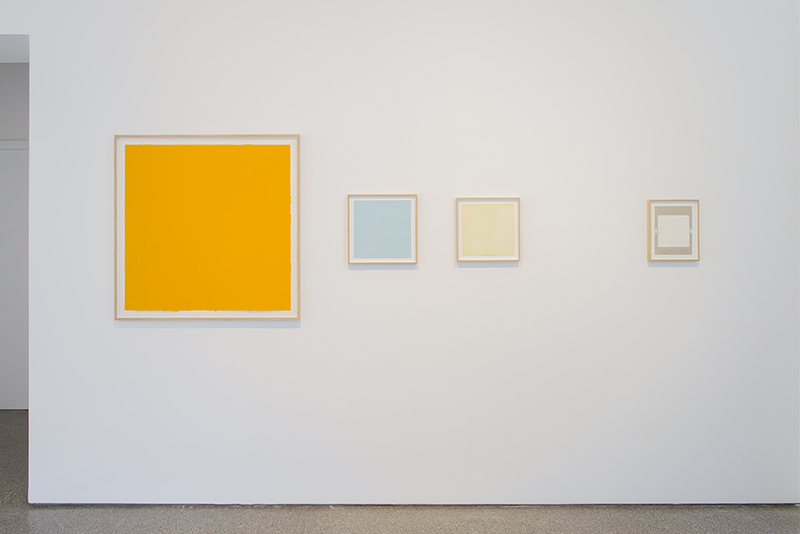 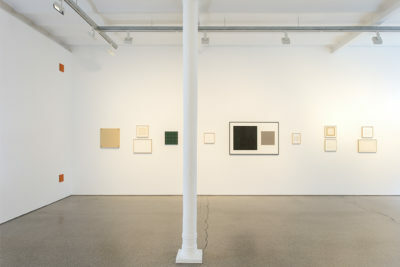 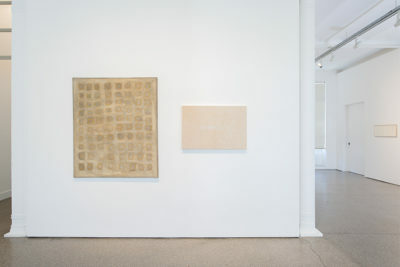 Galerie Greta Meert is pleased to present the exhibition ‘Robert Barry works 1962 until present’. 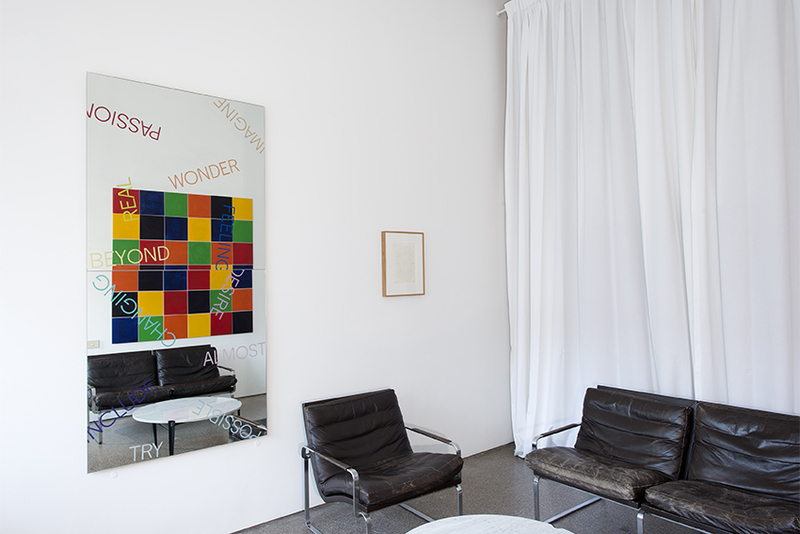 This is an exceptional overview of the artist’s oeuvre which, spread over three gallery floors, takes on the proportions of a museum. Some works were never shown in Europe before, others are part of private collections or never left the artist’s studio. The exhibition has been put together by curator Franz – W. Kaiser, who works for Gemeentemuseum Den Haag. 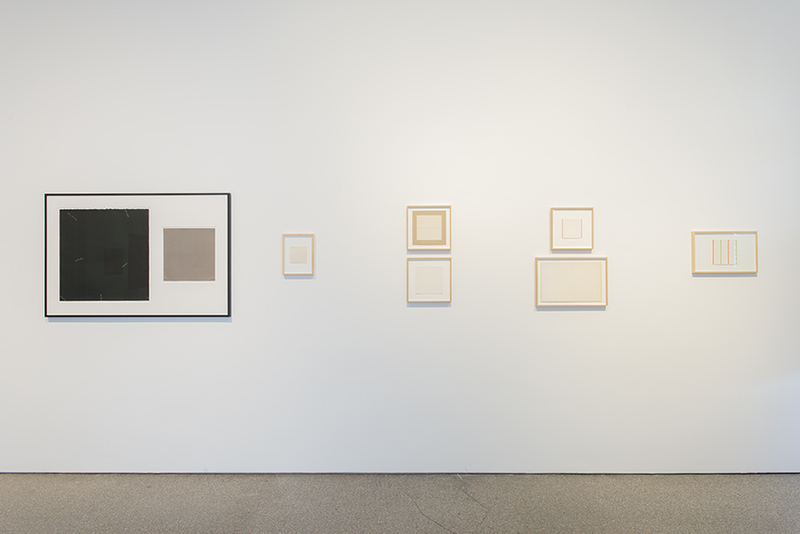 The overview starts in 1962, when the artist was studying at Hunter College, NY, taking lessons from Tony Smith and Robert Motherwell. Two early paintings from that period will be exhibited. 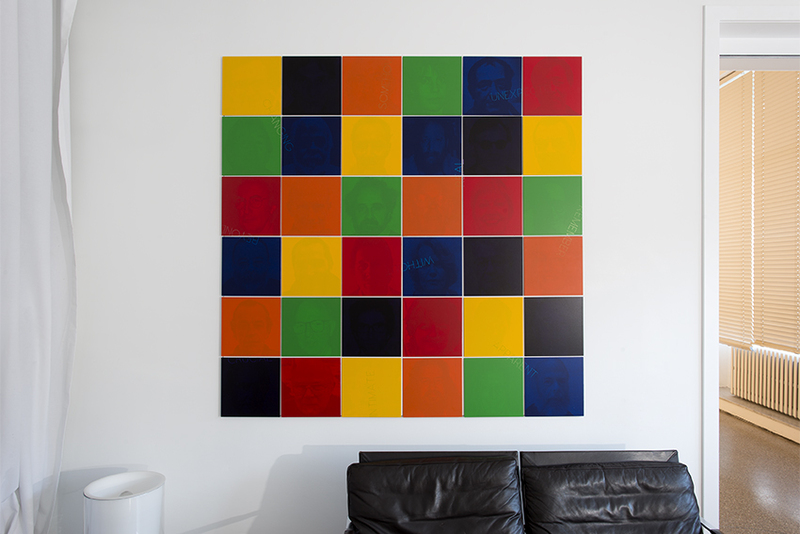 Through the use of certain basic shapes and the art-historical structure of the ‘grid’, they are the precursors of a much more extensive three-dimensional research. 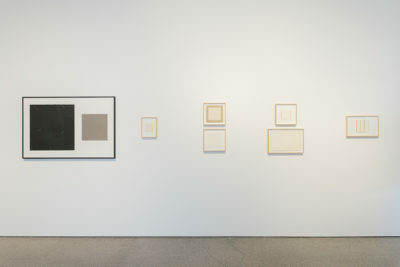 This research was initially limited to the work’s support, paper or canvas, and later extended to the wall and finally the exhibition space. 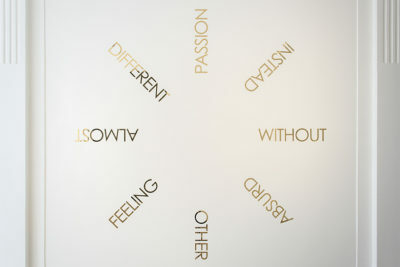 Today, language is the central aspect of his work. 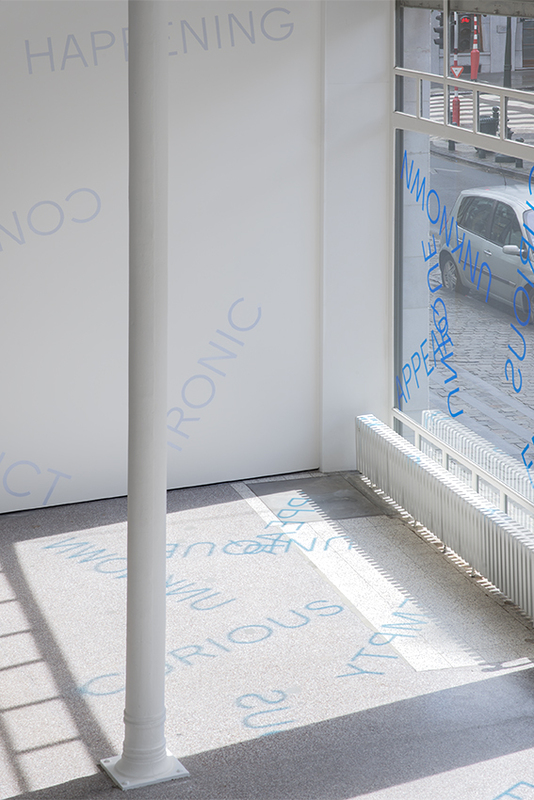 Words act on a non-referential and visual level. 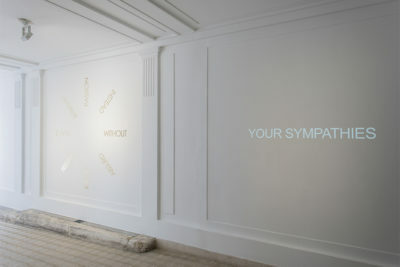 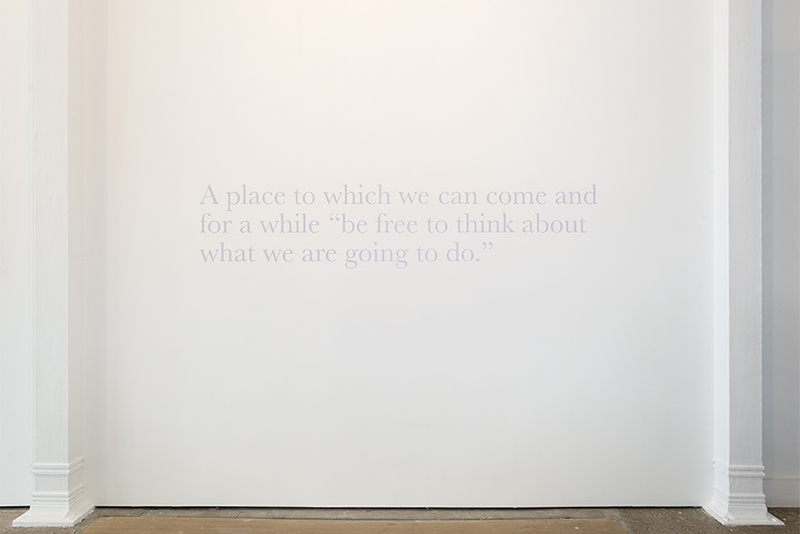 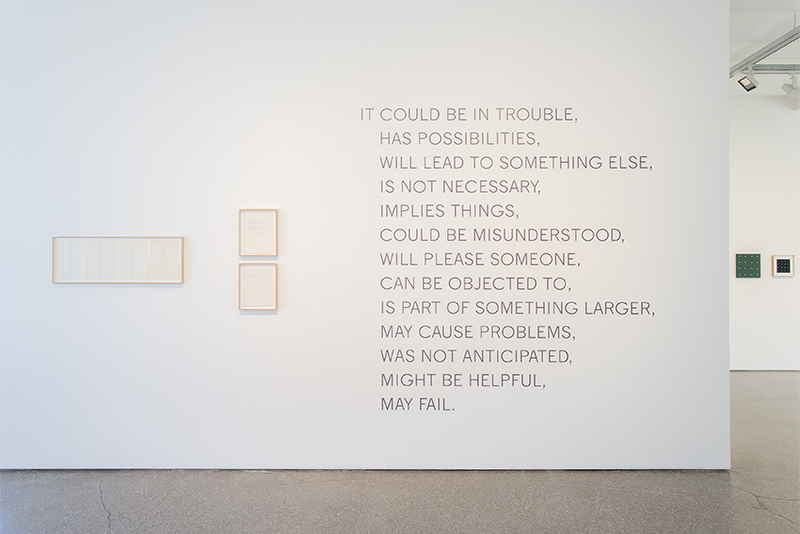 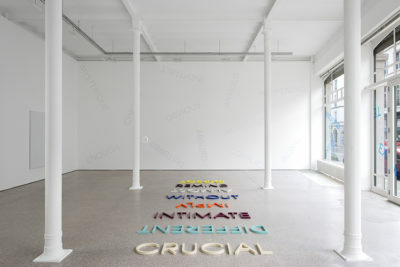 The presentation in the gallery ranges form his first textual works from 1970 to the more recent ‘in situ’ installations, with a freer and more plastic use of words. Robert Barry’s pioneering role in conceptual ideas partly goes back to his far-reaching extension of the notion of space, which also encompasses the spectator’s mental space. 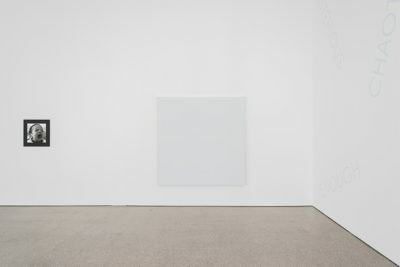 His works take their final shape when they are experienced and observed by the spectator. 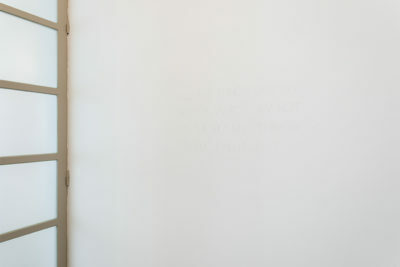 An illustrative example is the work ‘Interview piece’ (1969) in which the artist indicates that the work only exists if the reader has been invited to reflect on its contents. 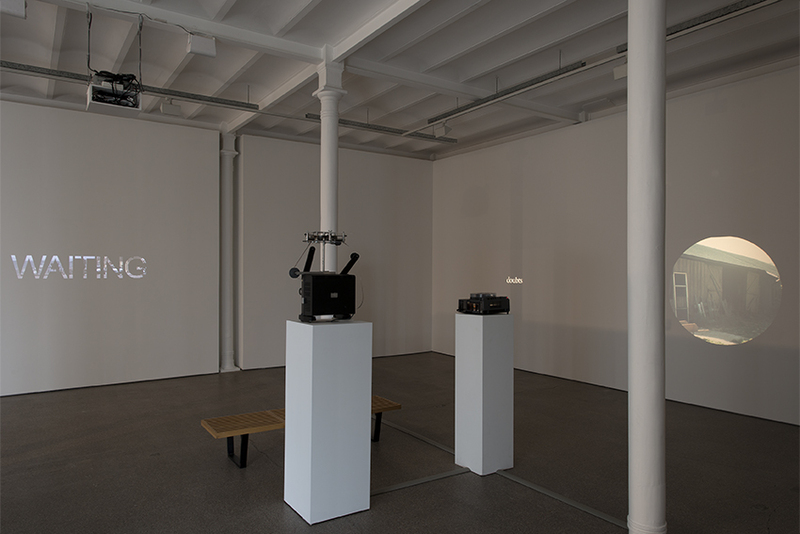 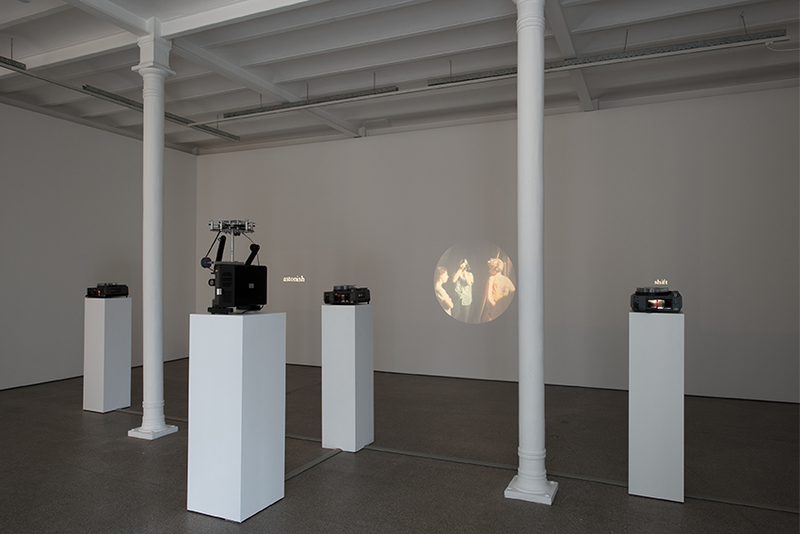 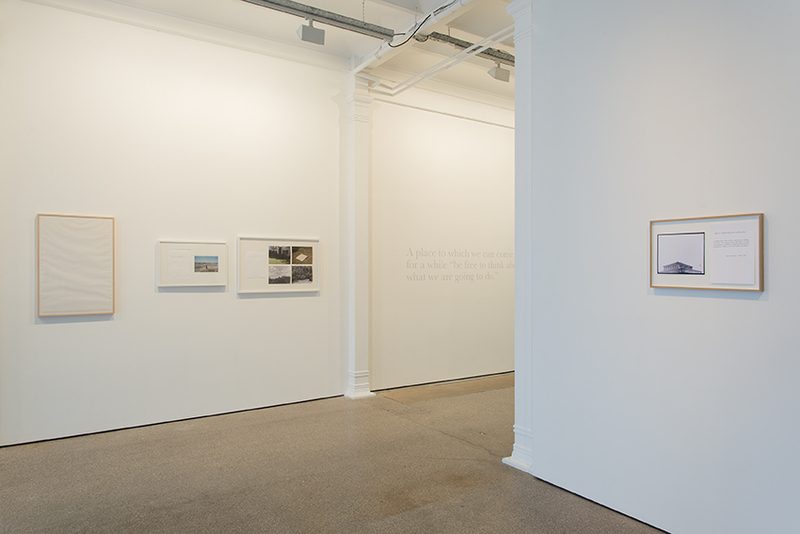 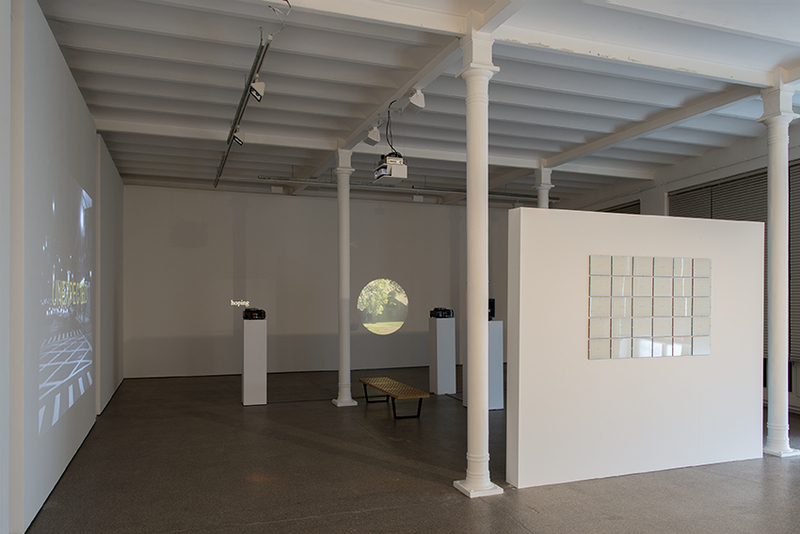 On the second floor, the focus is on Barry’s experiments with immaterial substances, such as electromagnetic energy, ultrasonic radiation and inert gasses. 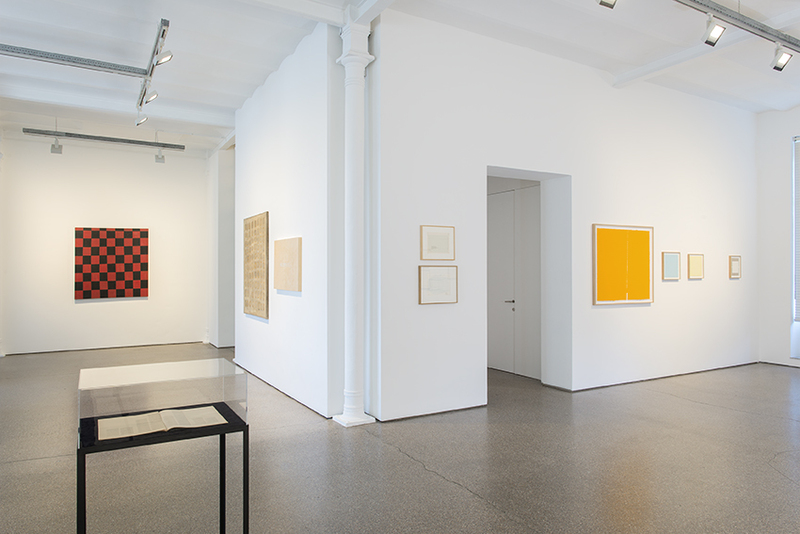 In this context the exhibition also shows the one-time collaboration (1971) with Lucy Lippard, the art historian who in 1968 already mentioned the idea of a ‘de-materialisation’ in arts. 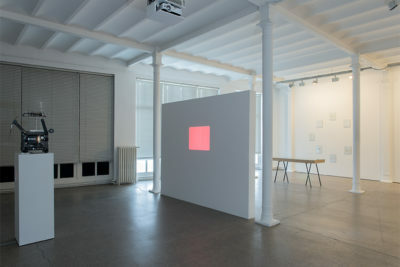 On the same floor ‘Red Seconds’ (1967), his very first 16 mm-film, is the starting point of a brief overview of video works and slide projections. 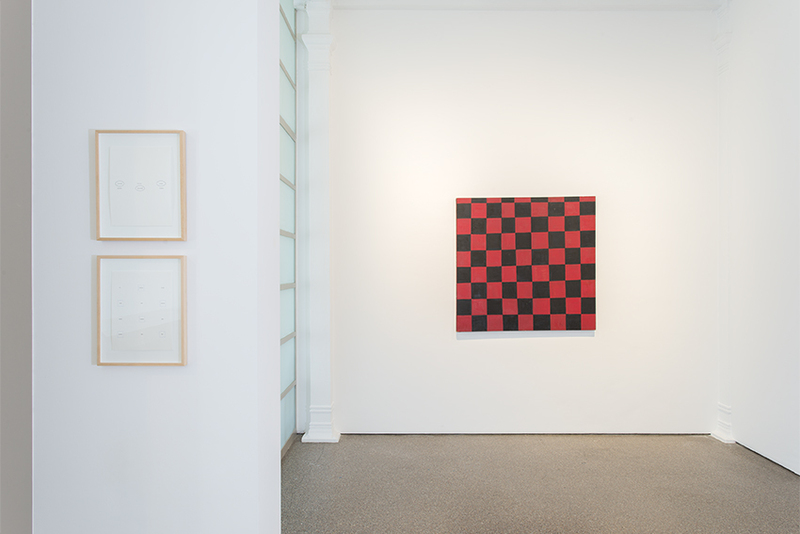 An overview of Robert Barry’s oeuvre is inevitably interspersed with references to art historical moments and figures, because the artist was part of an international context of artists, linked to the Minimal and Conceptual movement from very early on. 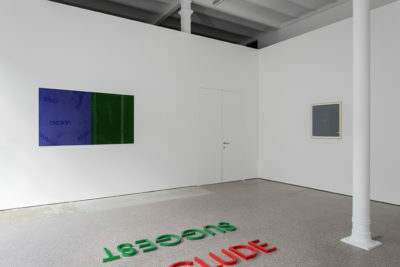 He participated in ‘When Attitudes Become Form’ (Kunsthalle Bern, 1969), put together by curator Harald Szeeman, as well as in ‘Prospect 69’ (Städtische Kunsthalle Duseldorf, 1969) and the early collaborations with curator and art-dealer Seth Siegelaub. 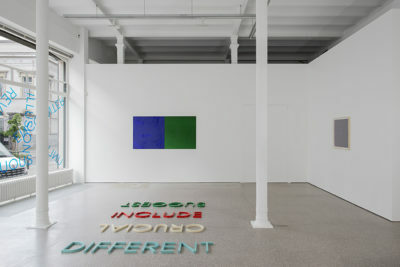 This exhibition was put together by Franz-W. Kaiser, chief curator of the Gemeentemuseum Den Haag, who previously organised exhibitions of Robert Barry’s work in the Centre National d’Art Contemporain de Grenoble and the Gemeentemuseum Den Haag. In view of this project, he talked to Robert Barry about the early days of conceptual art and about his works. These conversations will also be made available.